I lost my car keys! I hope they’re in the car! How do I replace my lost car keys? Are you looking to replace lost car keys? Did you look everywhere, call everyone, and still come up short and you are now worried you may have to smash your window and hotwire your car to get it going? Do not despair, please don’t panic and certainly keep your windows un-shattered! There are options available for you if you are living in San Diego, CA or surrounding areas. First what should you do if you need to replace your keys? First, write down the make, model, and registration number of your vehicle. Next look within your door, car manual, or on your dashboard to get your VIN number and then call your local 858 Locksmith and they will easily and dependably solve your need to replace your lost car keys. Our services San Diego CA and surrounding neighborhoods, so we can quickly get to you. You can visit our online website or contact us by phone. When you call we will want to know the information about your car so we can help make spare keys for you to continue driving your automobile. Our company provides services for all makes and models, foreign or domestic, but we will need to know yours so we can get our technicians to laser cut keys for you. Perhaps you have a sense you locked your car keys in your car. Request 858 Locksmith’s car lockout service and we will come to you within our 30 min response time and unlock your trunk and car door to check if your keys there. What if you can’t find it and you need to replace lost car keys? Then we also offer our last cut keys that our expert technicians create when we know the make and model of your vehicle. Our perhaps we found are we unlock trunk and car door, and you want to use our car key duplication services. We can do key cutting services are also offered by our licensed, bonded, and insured business. Having to replace lost car keys in San Diego, CA and surrounding cities can be a hassle. Having a night out on the town and waiting for service could be a drag unless you use 858 Locksmith. We use upfront pricing and we are fast and friendly. The coupled with mobile locksmiths that provide 24/7 locksmith service and rapid response time will help you feel like your car and keys are in great hands. Are you familiar with our mobile locksmiths capabilities? Our key cutting services will cut your keys and give you a new one on location, so you can get driving with your car from anywhere. So anytime of the day or night, make sure to contact our offices for the value we bring to our car lockout service and car key duplication. 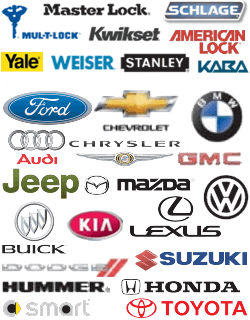 You will want to return for all your car key needs because we provide the service, value, and people you need to solve your problems. If you are in San Diego, California or surrounding areas give us a call and we will consult you on the next steps to solve your car key needs or mysteries. No matter what your needs are, you can trust that our team provides quick, efficient, enjoyable and highly trained service. Our equipment and tools are top of the line and our company is licensed, bonded, and insured sure you are guaranteed the utmost security. When you are looking to replace lost car keys, you need to choose a company you can trust and one that will provide you the service you need at anytime and anywhere. Choose a local company like ours and we guarantee of 24/7 locksmith service, which could also be used for your home and office needs as well. So why choose us? Besides all of the great qualities we mentioned above, a major reason to team with us and solve your lost key needs is: Up front pricing, up front pricing, upfront pricing! You know exactly what you get because we believe in transparency and good honest work. I Lost My Car Keys https://858locksmith.com/i-lost-my-car-keys/ 3.9/5 based upon 12 reviews.